Through the double French door, entry is a large great room that joins all the living areas. Natural light pours in through a soaring cupola above. From there the open layout flows easily to all the bedrooms flanking each side, and to the island kitchen and dining room. 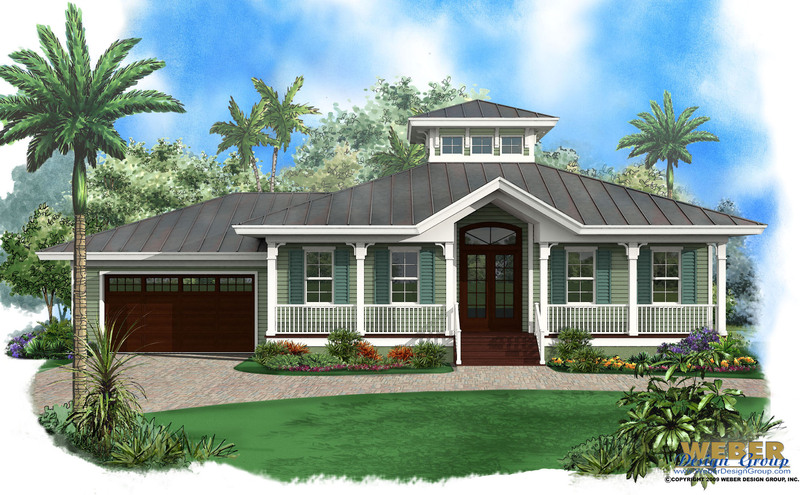 A large covered lanai runs the entire width of the 1 story home and can be accessed through French doors in the great room, dining room and master suite. 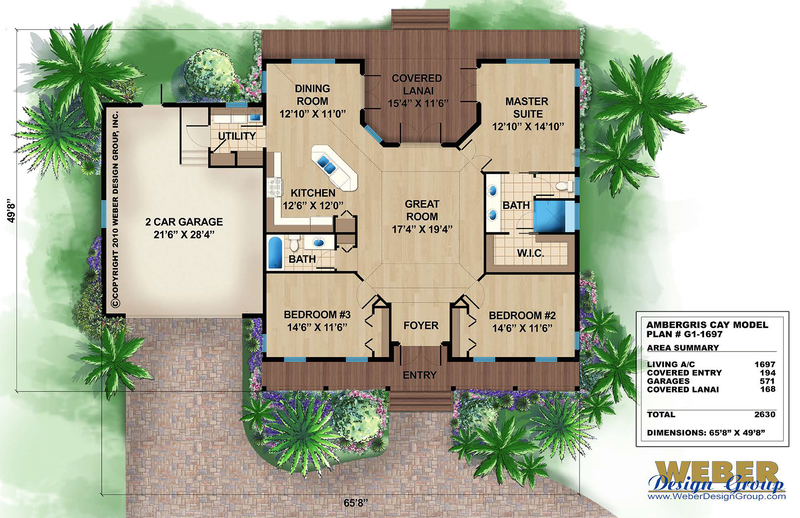 See plan pictures and specifications.